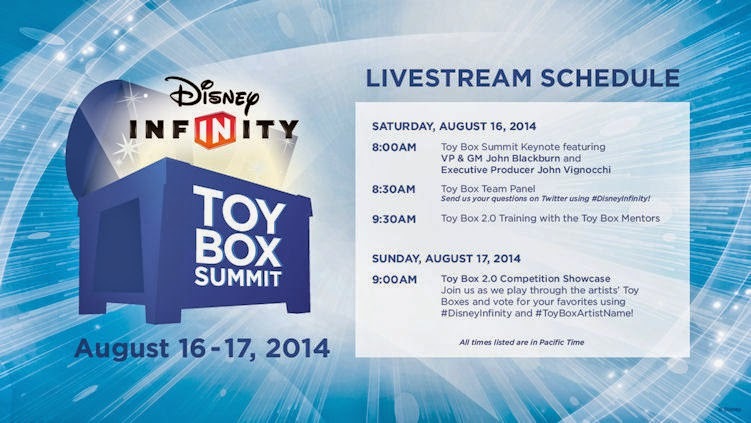 Disney News and Interviews From The Mouse Castle: Watch Disney Infinity's Toy Box Summit Live! This weekend, Disney Infinity and Avalanche Software are hosting an invitation-only gathering of top Toy Box designers from around the world. Though most of us cannot be there in person, you can get a sneak peek of the goings on below starting at 8:00 a.m. PT today. It will be an excellent opportunity to see what the great designers are doing and to also get a preview of what Disney Infinity 2.0 has to offer.